If there ever was a more doom and gloom, woe is me, stressed as anything kind of a week than the one I'm in right now, then oh my goodness I really do not ever want to find it. This week - a week when I simply can not be poorly as I have to get things sorted for my Mum and her house move this weekend - yet here I am - poorly and in pain. Agonising face, gum and ear pain to be exact...and now - as in just last night - the filling on the opposite side of my face fell out. And after spotting an amazingly peaceful and idyllic holiday snap over on social media earlier, right now the only holiday destination I'm thinking of is Tuscany. 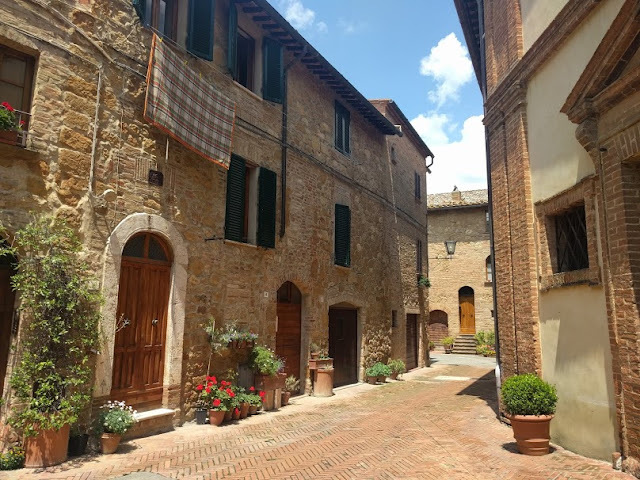 Tuscany - a place I have never, ever even considered before in the slightest for a holiday has now become somewhere I'm really, seriously considering. Tuscany is situated in central Italy and it's capital - Florence - has masses of stunningly, famous art pieces meaning it couldn't fail to be anything but magical. And then there are all of the amazing foods, the delicious wines, the vast greenery-creating vineyards with their stunningly peaceful landscapes to take into account too...it has already sold itself to me if I'm honest. So the most important question really is, "How child-friendly is Tuscany?" Well my two children, despite their ten year age gap, both love the water and Tuscany has it's fair share of stunningly beautiful, sandy beaches that's for sure - Versilia, I'm coming to get you. And, quite surprisingly to me, Tuscany has a whole host of different water parks too, so my twelve year old wouldn't have to miss out on his day of splash and thrill-ride seeking. But I think it had to be Katy at Hot Pink Wellingtons who had me sold on Tuscany with her beautifully stunning pictures and description of Tuscany being her 'happy place' - I mean who doesn't need one of those. Plus, if you throw in a little authentic, Italian pizza eating into the mix, (because as Helen from Jam Sandwiches quite rightly said, have you ever really eaten pizza until you've had one in Italy?) well my two would be in their element. ...what a beautiful place, with plenty of little nooks, perfect for Willow's need to explore. Well of course there are hotels, complete with catering packages to suit every budget and holiday need but what I think I would love would be a fabulously luxurious, private villa. A real home away from home but with that something extra. 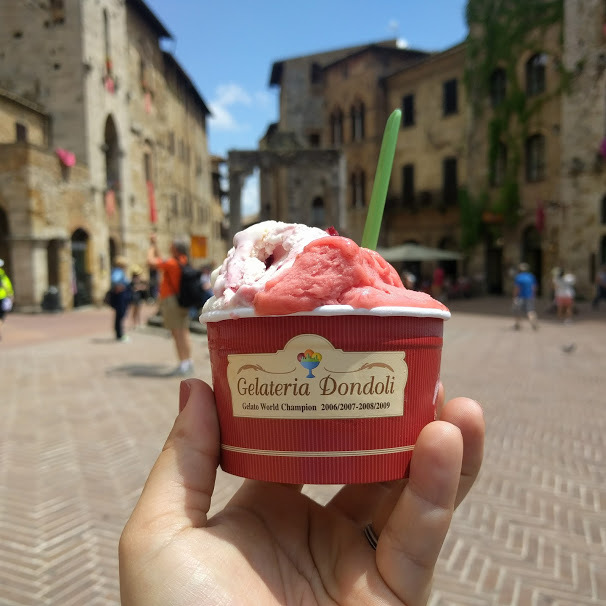 Actually, the only thing I think that would put me off with moving away from our usual catered holiday hotels would be the whole not wanting to cook on holiday dilemma - a problem I'm sure would easily be solved in Tuscany with its beautiful food available around every corner. And then the more I think about it, the more I can see how much freedom a villa would bring to us the more I can see just how much it would be perfect for us - Willow runs by Willow's rules you see and is much happier in her own space - she prefers having her dinner, relaxed rather than in a formal restaurant surrounded by hundreds of other people. 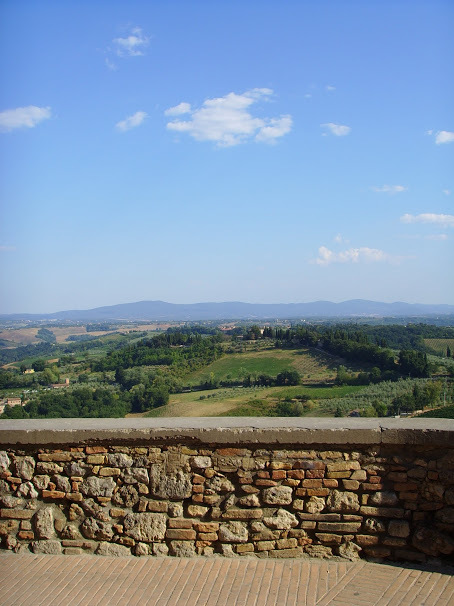 Oh and Tuscany has a bit of sunshine too - about 2300 hours a year to be exact. Yep - I'm in love already. So, whilst the little bit of research I've done hasn't exactly shown me the things I would usually search out when looking for holiday destinations, I have been shown beauty, luxury and without a doubt a very different, very cultural and very pretty way to have a family holiday.